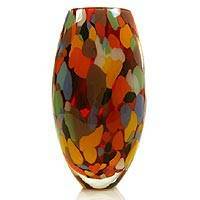 Possessed by the spirit of Thai forests, this vase lends a mystical accent to a tasteful ambience. Lush petals adorn the body, the intricate composition contrasting with the smooth perfection of the flared neck. Wistful green tones complete the piece's elegant allure. 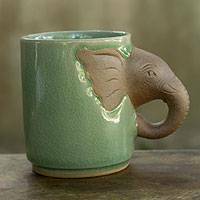 Kanda works in the traditional celadon method, resulting in rich pockets of color and a lightly crackled antique appearance. 21.5 cm H x 15 cm Diam. 8.5" H x 6" Diam. Artfully crafted by Kanda from Thailand. "My name is Kanda, and I am from Chiang Mai. 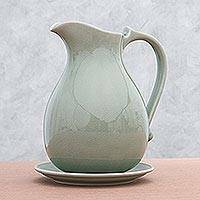 I originally worked in finance, but became very interested in celadon as a result of a large collection kept by my mother. 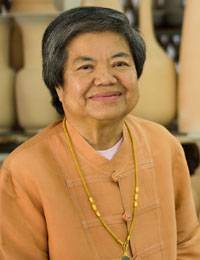 She had collected various patterns and designs, saying that they represented the wisdom of the ancient Thai people. 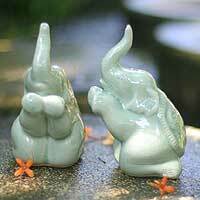 The ancestors produced celadon wares to use as food containers, as well as figures used to worship the Buddha. This inspired me to take my mother's collection more seriously, as I had previously thought of the pieces as just cups, plates, and bowls in the cabinet. "When I studied the history closely, I learned about the wisdom of ancient peoples. 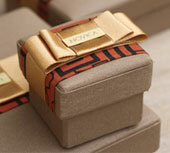 They bought everyday materials such as fine clay to sculpt containers, and found ways to make them beautiful and strong. Each container was unique and had a distinct identity. 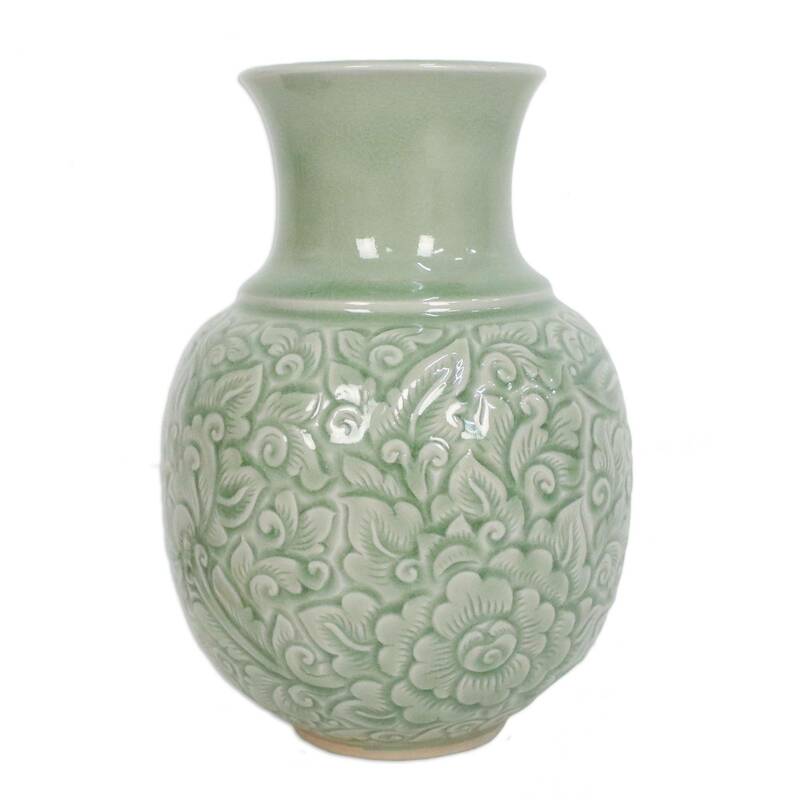 As a result of my research, I became passionate about celadon pieces and decided to make it my career. It was difficult for me because I had never studied in this field, and at that time I had no internet connection to search for knowledge. So, I traveled to a celadon workshop to learn how to produce and glaze the celadon. 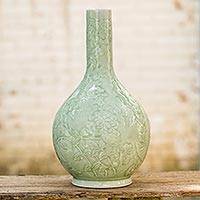 Most celadon workshops were co-founded by people from other countries who valued the beauty of celadon and hoped to export it worldwide. 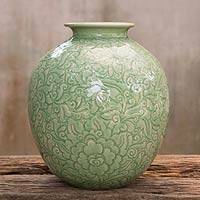 "One day, I met a celadon workshop owner who was going to close his business because he had no successor. When he learned that I wanted to do celadon, he gave me his entire mold. I persuaded a young sculptor, Mr. Prajuap, to build the kiln, and we began producing pieces together. 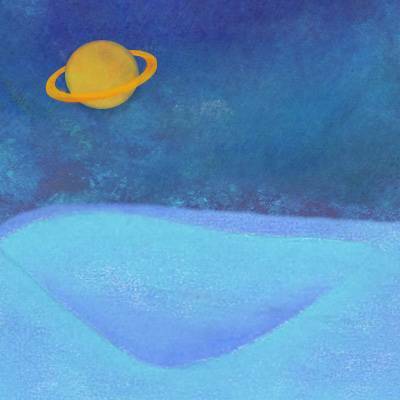 We started with a lot of trial and error, and both felt discouraged. However, we both laughed through the trials and tried new production techniques to perfect the process for beautiful pieces. I then opened a small workshop where I invented ways to make the dishes look more interesting by carving patterns such as Thai flowers, elephants, and patterns from Thai literature. 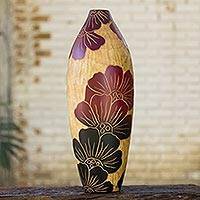 The patterns are delicate, beautiful, and drawn by local craftsmen. 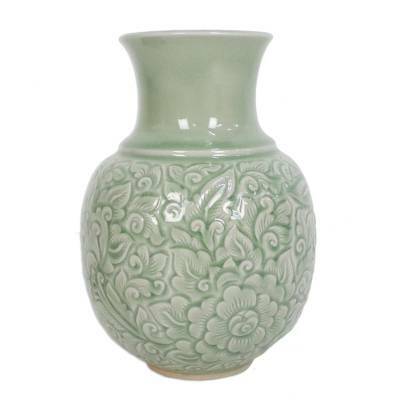 "Developing the folk wisdom of my ancestors through celadon is something I'm very proud of. 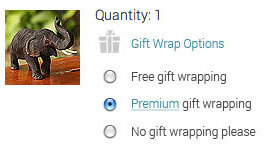 Another point of pride is that I have created jobs and income for the local craftspeople. They have wonderful families, make a good living, and are happy to work every day. "I'm happy to have a big family that has helped make my dream come true. I'd like to thank my mother, who was my inspiration for making celadon, and Mr. Prajuap, who has learned by my side. 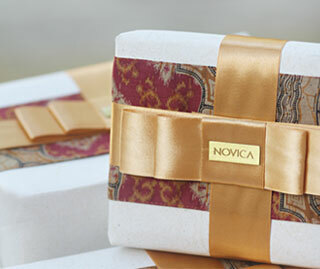 Finally, I thank NOVICA, who features my work to spread the knowledge of Thai wisdom worldwide."